The Maropeng Cavemen were stunned by the Golden Gate Gladiators, the Orange River Rafters produced a class display to dispatch the Blyde River Bunters, the Drakensberg Dragons got their first win, while the Namaqualand Daisies and Wineland Wings face early elimination in the 2018 CTM Premier Hockey League. There were another 18 goals scored on day 3 of the CTM Premier Hockey League, with the story of the day undoubtedly coming from the 14:00 game when the experienced Maropeng Cavemen, the double defending champions tasted their first normal time defeat since PHL 2016, going down 3-1 to the Golden Gate Gladiators. The Gladiators were without regular coach Garreth Ewing due to work commitments, so SA Under-18 coach and national selector Devon van der Merwe took charge for this game. The Gladiators were in bullish mood and the side settled into the game early. Chris Makaba danced through the defence of the Cavemen and from a tight angle converted the goal. It was a touch fortunate as the ball took a deflection past Cavemen keeper Rassie Pieterse. The second goal was nothing about luck. Wade Dollman executed the perfect penalty corner to fire the ball into the bottom corner. Such was the velocity of the shot that it hit the back-board before Pieterse even had a chance to save it. The Cavemen were far better in the second half and found themselves back in the game when Ryan Crowe squared it for Reza Rosenberg to net into the empty goal. As the Cavemen surged forward to find the equaliser they replaced Pieterse with an outfield player which created an opportunity for Jared Cass, newly selected to the South African Men’s side, who finished from a tight angle. 3-1 the final score. In the Women’s side there was arguably a surprise too when the Orange River Rafters defeated the favourites the Blyde River Bunters 2-0. This is one of the few times in CTM Premier Hockey League history that the Bunters have been unable to score. Shaun Hulley’s side were top value for their victory that made it 3 out of 3 in this year’s tournament. Although it was built on a fine defensive display, helped by SPAR South Africa indoor keeper Cheree Greyvenstein back in goals, it was two moments of magic that saw the defending champions win. Lerato Mahlangu and Mia Barnard both benefited from superb link up play behind them, with Sulette Damons pass for Bernard’s goal special. The Lakers got their second win in two thanks to Tegan Fourie scoring in the top left corner with a superb drag flick. With the South Africans looking for a drag flicker for the national team you can’t fault the effort of Fourie in giving her team the lead. It really could have been 3 or 4 for the Lakers who were once again superbly marshalled by Erin Hunter and player of the match Kara Botes. The Madikwe Rangers resurrected their 2018 CTM Premier Hockey League with a bonus point victory against the Daisies. However, they found themselves trailing at half time when Lauren Nina sent Modipane one way and the ball the other. Facing the daunting possibility of being 0 from 3 the Rangers poured forward and with just 3 minutes left in the third quarter pulled one goal back through Sylvia van Jaarsveldt. The goal was because of a poor defensive mistake. There no mistake and just all class in the second strike by van Jaarsveldt whose tomahawk strike flew into the top corner. The ball just inside the D and arguably the goal of the tournament so far! In the fourth quarter the Daisies pushed forward to try and level the game, but the Rangers were belligerent in their attack. Nomnikelo Veto pulling a van Jaarsveldt in scoring her own tomahawk. There was time for one last goal and it fell to skipper Lisa-Marie Deetlefs with a signature penalty corner sealing a 4-1 win and importantly the bonus point for the 2016 finalists. All the way at the other end of the day the Drakensberg Dragons and the Garden Route Gazelles looked for a first win having both only played one game last week. They produced the most frenetic period of the tournament so far as there were 4 goals in the opening quarter that ended square. Taine Paton, who has 104 caps for South Africa, put the Gazelles ahead, but Blake Tyack pulled it level. Connor Beauchamp, an in-demand man in the draft, re-established the lead, but it lasted just 3 minutes and Richard Pautz, the man of the match and ex Elephant, scored a penalty corner. We had to wait till the end of the third quarter for the next goal and it came from Melrick Maddocks. Maddocks who recently played for South Africa has grown well as a player and took his opportunity like a seasoned campaigner. Cody van Wyk wrapped up the game in the 46th minute to give Sihle Ntuli’s side the first win of this campaign. There is no time for rest as a full five fixtures meet the players tomorrow at Randburg Astro. The games start at 08:00. The Addo Elephants struck a devastating blow as Julian Hykes netted a late winner for the 2016 Runners-up, the Orange River Rafters came from behind to win their opener and the Mambas gave coach Lungile Tsolekile the perfect start as the 2018 CTM Premier Hockey League got underway at Randburg Astro today. The first goal of the 2018 CTM Premier Hockey League was struck within 90 seconds of the tournament getting underway. Luthando Jonas found himself in some space and finished like a seasoned striker. Things got even better for the Mambas, being coached by Tsolekile for the first time, when Michael Baiden made it 2-0. In the second half there was signs of a fight back for the Golden Gate Gladiators as they pulled a goal back through the impressive Michael Forrest. But the Mambas, who finished third in 2017, made sure of the victory when Jonty Robinson, a man with more than 100 caps for South Africa, settled the result for the Mambas. The 2017 champions, the Orange River Rafters, got the Women’s competition underway as taking on the Wineland Wings. Both sides were missing some players currently on duty with the South African Indoor side in Zimbabwe. That didn’t stop the Wings though and Tarryn Glasby, fresh from duty at the Vitality Hockey Women’s World Cup, fired home in the opening minute. Almost systematically though the defending champions started fighting back and with the last play of the opening quarter Nicole Walraven, another World Cup member, equalised with a deft deflection at the penalty corner. The second quarter ended in almost the same way when entering the final minute of the quarter and the half Chane Hartel scooped a loose ball into the D past Charlize Swanepoel in the Wings goal to give Shaun Hulley’s Rafters a half time lead. The Rafters turned up the tempo and scored again through Zeena Martin and four minutes later scored again through Chane Hartel. The fourth was reviewed however and chalked off for a foot in the build-up. The Wings fought back and Tarryn Glasby pulled one back to set up a grand stand finish but unfortunately for the Wings they could not find the goal to level giving the defending champions a good opening day win. The Addo Elephants followed the example set by the opening two games by scoring early in the first quarter through Olympian Julian Hykes and quickly doubled through a fantastic tomahawk finish by Andrew Manson. The 2017 runners-up the Drakensberg Dragons started the uphill climb and would have felt a glimmer of hope when Francois Pretorius got one back for them. That hope grew when Richard Pautz scored a fantastic diving deflection to level. The Dragons had an incredible 54 circle entries over 20 from the Elephants but somehow with the game heading to a shootout, superb work by Andrew Manson set up Julian Hykes who finished to send the Elephants into delirium. The crowd at Randburg were eagerly awaiting the appearance of the Blyde River Bunters captain Phumelela Mbande after her heroics against Argentina at the World Cup and they were not disappointed as she showed signs of the same form in denying the Madikwe Rangers any goals in superb victory for Marcelle Keet’s Bunters. It was a victory borne out of great rearguard defence but with a great opportunistic goal taken by Mmamoagi Kungoane, her second career PHL goal, after a ball through by Jessica de Bruyn-Smith was parried away by Mmatshepo Modipane. The final game of day one had a bit of a slumbering first quarter but came to life sensationally in the second quarter when the Garden Route Gazelles took the lead through Tyson Dlungwana. The defending champions were then further stunned as they fell 2-0 down through a Reece Arendse goal. The Cavemen have not lost a game in open play since PHL 2016’s group stages and they showed their class as they fought back. They pulled one goal back sensationally through a Cameron Mackay deflection in the 30th minute before former South Africa U21 International Kyle Lion-Cachet levelled from a Penalty corner in the 49th minute. The most exciting period of the day was still to come though as Lion-Cachet gave the double champions the lead for the first time in the 58th minute giving Siya Nolutshungu no chance from a penalty stroke. If the Cavemen thought they could celebrate their victory they would be mistaken as the Gazelles, under the leadership of the impressive Ashlin Freddy, fought back again and found the game-tying goal from Luke Schooling after a great piece of play from Dlungwana. As is in the CTM PHL rules, every game must have a result and it was down to a shootout to decide the winner. In the shootout Estiaan Kriek, only playing for the Cavemen due to Rassie Pieterse’s unavailability, saved two ultimately being enough to see Mark Sanders team home with the 3 points. Of course, the nature of the CTM PHL is such that tonight the teams will go home, analyse video and prepare themselves for another day of action packed hockey tomorrow. What a start to the 2018 CTM PHL. The third edition of the CTM Premier Hockey League gets underway on Saturday at the Randburg Astro with a few tantalising match ups, new look teams and of course some new coaches guiding the various teams. 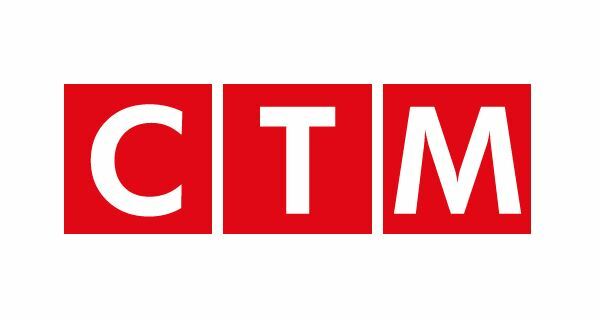 With world class coverage from SuperSport, the CTM PHL promises to raise the game once again. Two coaches that will take charges of their teams for the first time are Olympian Lungile Tsolekile and current African U18 champion coach Lenise Marais. Lungile, who played over 100 times for South Africa, will lead the Mapungubwe Mambas for the first time. They get to start with the opening game of the tournament against the Golden Gate Gladiators, the SA U21 side. The game promises to be a baptism of fire as the Gladiators have just spent the week together at IPT training for PHL and will be raring to go. Lenise Marais is another Olympian, who played a remarkable 232 games for South Africa, making waves in the coaching world she superbly led the South African Schools U18 to a white wash series victory against Australia in the iWyze test series in July. This was the first time South Africa had won a match against Australia at this level, they did it three times in a row! Many of these players continued on, to win gold at the African Youth Games! Lenise, who coached in PHL 2016 before assisting in 2017, will take over as the head coach of the Wineland Wings. The Wings had a tough 2017 where they finished bottom of the women’s section and continued a very unlucky tradition in the shootouts. They will open their campaign against the 2017 champions the Orange River Rafters, so there will be no time to find their feet. Another tasty offering on the opening day sees the 2016 silver medallists the Addo Elephants take on the 2017 runners-up the Drakensberg Dragons. The Elephants will be buoyed by new marquee players Miguel da Graca and Dan Bell, while the draft of Tim Guise-Brown was a coupe for Cheslyn Gie’s side. The Dragons will offer a superb opponent led by IPT winning coach Sihle Ntuli, while Peter Jarvis looks like one of the most exciting young talents in the country. The other game to watch on the weekend will be the 14:00 hit off between the Blyde River Bunters and the Madikwe Rangers. The Bunters, led by Marcelle Keet, will look towards the shot stopping ability of Phumelela Mbande, South Africa’s star player at the FIH Vitality Hockey Women’s World Cup. The Rangers will again seek inspiration from Lisa-Marie Deetlefs who played her 250th game for South Africa at the World Cup. You can follow all the action on the PHL website and social media channels as well as catch the games live on SuperSport. 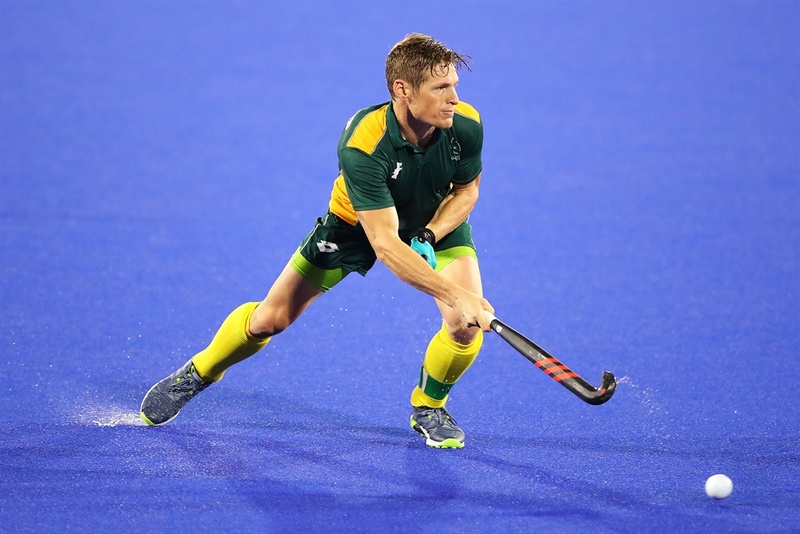 OPRO, the world’s largest manufacturer of the most technically advanced mouthguard, today announced a new partnership with South African Hockey and the CTM Premier Hockey League. 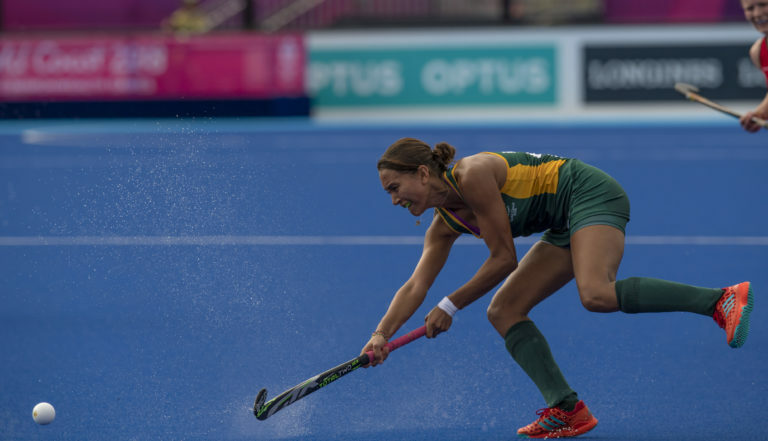 As the official mouthguard providers for South African Hockey and the CTM Premier Hockey League, the long-term partnership will see OPRO supply elite level mouthguards to national teams. In addition, the scope of the partnership will include all CTM Premier Hockey League teams in a bid to ensure each player has the very best protection for their teeth. The partnership comes at an exciting time for South African Hockey after their recent involvement at the 2018 FIH Women’s Hockey World Cup in London, and for the CTM Premier Hockey League as it goes from strength to strength as a key contributor to the growth of hockey in the country. Specifically, the CTM Premier Hockey League features 240 of the best South African players, forming part of the South African Hockey Association’s (SAHA) high performance pipeline which is aimed at unearthing new talent and better equipping the national men’s and women’s teams for international competition. With over 20 years’ experience, dedicated to bringing leading technology and safety to athletes at all levels of sport, OPRO’s partnership will run in unison with this vision, to aid the development of the game from grassroots level through to international level. OPRO are the official mouthguard partner of over 60 teams including England Hockey, Hockey Ireland, Great Britain Hockey, the Ultimate Fighting Championship (UFC), Australia Rugby and New Zealand Rugby. OPRO Chief Executive Officer, David Allen commented: “It’s an exciting time for the game of hockey in South Africa and we’re delighted to be a part of it. For more information visit www.opromouthguards.com. CTM, South Africa’s largest retailer of tiles and bathroom ware, is proud to announce its continued support of the South African Hockey Association, upgrading its role to chief sponsor of the Premier Hockey League (PHL) for the 2018 and 2019 seasons. CTM was first introduced to the PHL in 2017, sponsoring four of the nine teams, namely the Kilimanjaro Addo Elephants, Pro-grip Drakensberg Dragons, Tivoli Blyde River Bunters and the ever popular TopT Madikwe Rangers. The team identities are inspired by famous tourist areas in South Africa and are linked to CTM products including its exclusive Kilimanjaro tile range, its Pro-Grip adhesive and grout products, the Tivoli tap range and also to CTM’s sister brand, TopT. The Inaugural South African Premier Hockey League owned by the South African Hockey Association and funded by Sports and Recreation South Africa, was launched in 2016 in Randburg, Gauteng, and has shown great promise over the past two years since its launch. The PHL model is an exciting, inventive new hockey format, created to transform the sport in South Africa. Comprising of three weeks of incredible hockey action, the best franchise teams representative of each of the nine provinces compete against each other in a series of top quality matches. “CTM is proud to partner with the PHL – we share the common values of innovation and inventiveness, and this partnership enables both organisations to make a positive contribution to hockey development, propelling the sport forward in this country,” says CEO of CTM’s parent company, Italtile Ltd, Mr Jan Potgieter on the rationale behind the sponsorship. “In its short lifespan the PHL has achieved so much and has even gained recognition through a short listing from the SIG Awards as best new invention in sport for the PHL18 Draft,” Marissa concludes. The South African Women’s hockey team were always going to face a tough encounter as they opened their 2018 Commonwealth Games against the much fancied England. There was a cautious optimism in the South African fan base as the ladies have shown glimpses of truly world-class performance in the past, and the team was eager to make that fan base proud! South Africa started on the back foot but a great triple save by Phumelela Mbande kept England out before a good opportunity was just out of reach for the diminutive Stephanie Baxter from a Dirkie Chamberlain cross. The first goal of the game did arrive in the first chukka and unfortunately, it was in the favour of England as Grace Balsdon rocketed a short corner into the back net with a venomous drive. Such was the velocity on the drive that the ball rebounded out of the D after it hit the board! England then doubled their lead nine minutes later as Susannah Townsend squeezed a shot beyond Mbande after brilliant build-up play from Ellie Rayer and Alex Danson down the right. Although Mbande and later le Fleur were the busier goalkeepers, South Africa created some great chances but Maddie Hinch, the FIH Goalkeeper of the year for 2016 & 2017, was dominant to deny Jade Mayne, Sulette Damons the skipper and Dirkie Chamberlain. Keeping the game goalless. The South African Men are a young side and were keen to gain experience and show a gritty performance in front of a large Gold Coast Crowd, in Clinton Panther’s 100th test cap. They were to meet a regular foe of the SA Hockey men in the game against Scotland. That foe would be their lack of cutting edge in front of goal. The Scottish men were in glorious form and mood and raced out to a 3-0 lead in the first quarter incredibly through three field goals. Robert Hardwood and Alan Forsyth scored either side of the goal of the game by Kenneth Bain as he roofed the ball with an incredible back stick. In the third quarter, South Africa finally fought back from the shell-shocked first quarter and Gareth Heyns, the former UJ captain, netted from a penalty corner before skipper Tim Drummond pulled us back to within a goal of the Scots. But just as hope had emerged, it quickly vanished with Bain again netting from a field goal and made it 4-2 which it would remain until the end of the game. The men will be feeling frustrated not just by the result but the inability to deny goal scoring opportunities from open play, while also failing to create enough chances from their 18 circle penetrations. The Premier Hockey League was designed to deliver the very best high performance event for South African Hockey. To this end 10 of the 12 playing squads (6 x Men and 6 x Women) will comprise the very best players in South Africa with the 2016 squads augmented by additional Marquee Players and a revised draft process taking place on 4th November in Johannesburg. In line with SA Hockey’s high performance pipeline strategy the two remaining franchise teams, The Golden Gate Gladiators and The Namaqualand Daisies will be dedicated for the SA men’s and women’s u21 national squads respectively. Prior to the launch of #PHL16 last year, Marissa Langeni, the CEO of SAHA, stated that “If the u21 team experiment proves a success then we may make these age group national teams a permanent fixture in future PHLs”. With the success of their inclusion in the tournament and specifically the u21 Men’s success at the FIH Junior World Cup post #PHL16, the SA Hockey High Performance team agreed to make this a permanent part in u21 preparations for future international campaigns. In even more exciting news for South African Hockey and particularly the u21 High Performance programme, Old Mutual iWYZE have signed on to sponsor both teams as an extension of their very successful iWYZE Hockey Nationals 2017 sponsorship of u13, u16 and u18 schools events for boys and girls. 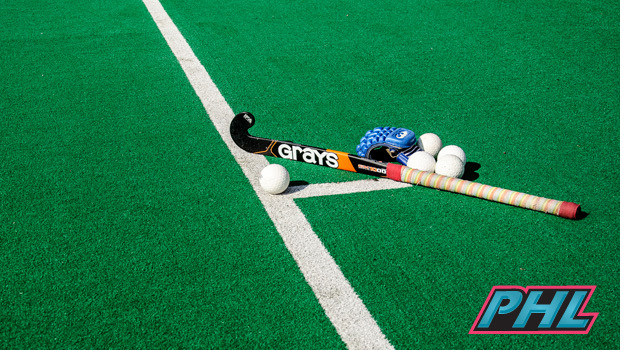 “Hockey is one of the fastest growing sports in South Africa amongst both boys and girlssays iWYZE Head of Brand & Advertising, Presodhini Naicker. “iWYZE believes that the future of South Africa is dependent on the development of its youth. Through this sponsorship, we are given an opportunity to extend our support of schools hockey to the next really important developmental stage for young players, the national u21 programme. We are excited to be part of this great event and to further the development of South African youth who are also our future clients,” says Naicker. Tyson Dlungwana, a member of the 2016 Gladiators and national u21 squad member said “It’s wonderful to be back in the Gladiators squad for #PHL17. Last year was an incredible opportunity for us as young players and I have no doubt that the new generation of u21 players joining us this year will gain enormously from the experience.” Included in the Men’s u21 squad is Western Cape schoolboy Dayaan Cassiem who has already represented the Men’s national team and proved during the recent FIH Hockey World League in Johannesburg that he is a global superstar in the making. Exciting young talent Kriston Paton who has just returned from the African Cup with the National Women’s squad will again be representing the Daisies alongside 2016 Daisies’ veterans Sisipho Magwaza, Sadiswe Tabata, Tegan Fourie and Ongeziwe Mali. #PHL17 will be broadcast live on SuperSport so please look out for the final match and broadcast schedules which will be published in the coming weeks. The Premier Hockey League (PHL), the ground-breaking tournament in the South African Hockey that featured 200 of the best SA Hockey players last year, today can release the dates for the 2017 tournament. PHL is a proud partnership between SA Hockey, Sport and Recreation South Africa and Supersport. The tournament will once again feature the six Franchises that competed in the inaugural tournament last year. The Blyde River Bunters will look to defend the ladies crown, while the Maropeng Caveman will try and do the same in the men’s tournament. The PHL will this year be played over three weekends rather than four with a bumper finals weekend from the 9th -12th December, featuring the final group games as well as the Semi-Finals and medal matches on Tuesday 12 December. The tournament will kick start on Saturday 25th November with both Men’s and Ladies tournaments taking place simultaneously. Each team will play 5 group stage games. The top four teams in the log will progress to the semi-finals. The winning semi-finalists will progress to the finals of the men’s and Ladies competitions respectively. Week 2 will be played on 2nd and 3rd of December with the second 10 matches of both tournaments before heading to the final weekend of 9-12th December. All matches will be played at Randburg Astro, with the added excitement that all tickets will be free of charge. Fixtures and broadcast details to be communicated before the tournament begins. After seeing the incredible efforts of Supersport at the recently completed World League, you can bet it will be nothing short of incredible!